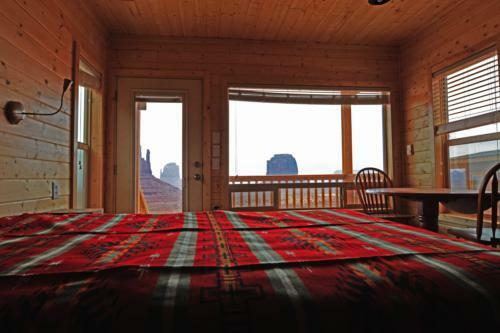 Our private, fully-furnished valley rim cabins offer a unique way to experience Monument Valley. 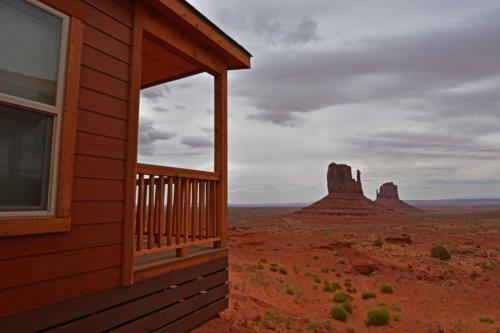 Many have said the view from the cabins is actually better than the view from the hotel rooms. 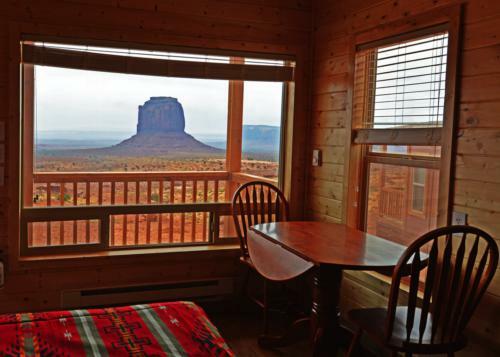 Each cabin features a private porch that overlooks the valley and is decorated in an old west decor. Each cabin also has a full restroom and shower plus refrigerator and microwave. The Premium cabins are more private and secluded than our hotel rooms.